Lie the bird on its back and use a sharp knife to gently remove the skin and feathers. 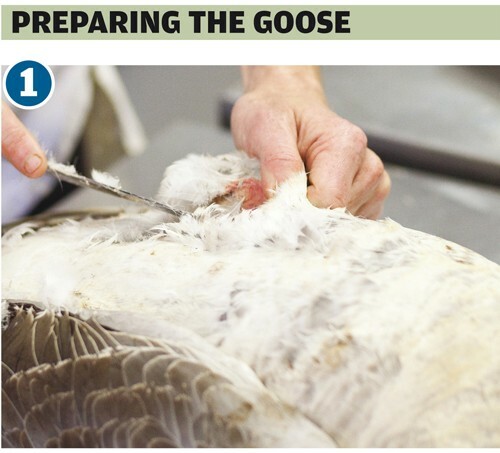 Slice down the breastbone and gently ease the flesh off as you cut towards the wing. Wipe the breasts clean so they are ready to cook. 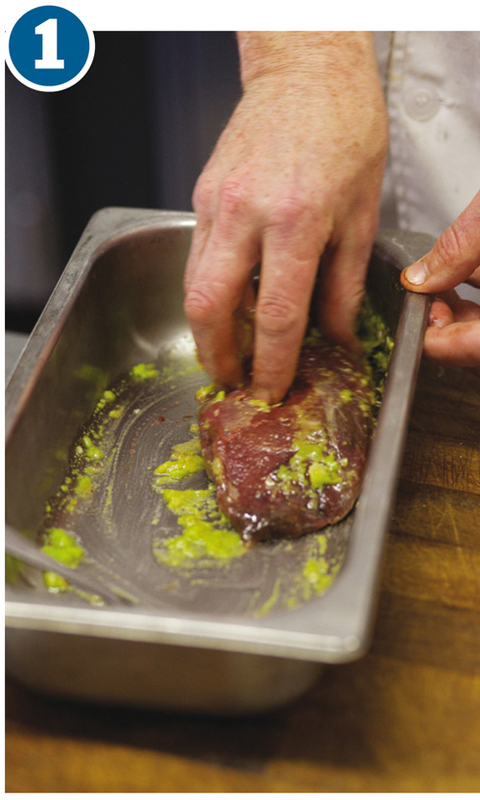 Coat the breast in salt, pepper and wasabi sauce (mixed with olive oil and a crushed garlic clove to make a paste). Slowly pan roast the breast, six minutes each side, and then set aside to rest for five minutes. 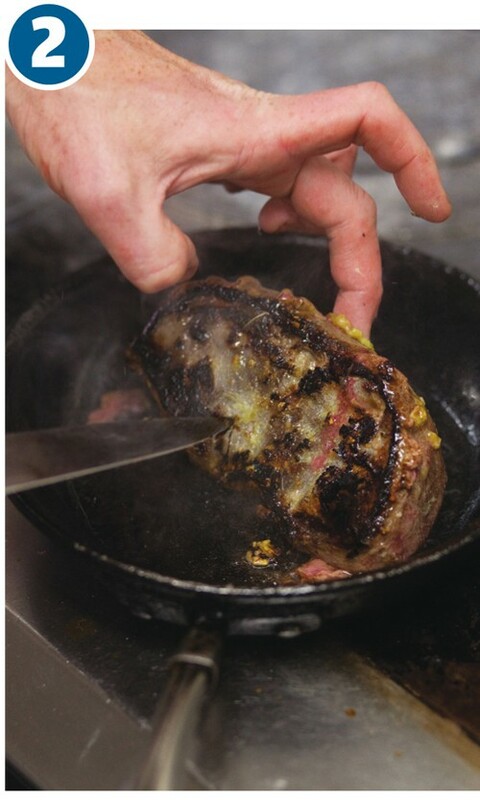 Whilst the goose is resting, fry the thinly sliced potato, fan it out on a plate with the segmented orange. Add a mixed salad, dressed with wasabi dressing (wasabi sauce and olive oil). Sprinkle hazelnuts on top. 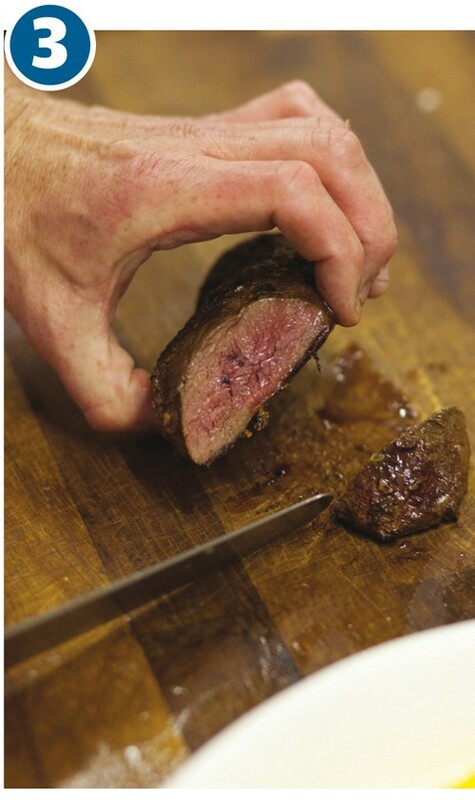 Thinly slice the goose breast and place on top of the salad. If you’re trying to impress, drizzle some balsamic syrup on the plate to make it look pretty!